Welcome to ASIFKHANPHOTOGRAPHY. I'm Asif Khan, originally from India but currently located in Shanghai, China. Photography has been my passion since very initial years of my life. Now a full time Information Systems professional for General Motors, I try to seriously pursue my photography passion in whatever free time I get. Lucky being born to a top grade Indian Forest Officer (my loving Dad: Dr. Rashid Khan Pathan), I had the pleasure of spending a lot of my upbringing in real wilderness areas of India. Thats where I developed my love for Nature & Wildlife which further developed my interests in bird-watching, study of Indian mammals & reptiles, wild animal rescues, camping and hiking. This also brought me close to appreciating life in general and related philosophical studies. Thanks to my Mom (Mehmuna Khan Pathan) and Dad as well for allowing us to venture for days alone in forests of India - without their support this hobby wouldnt have matured. The first camera I shot with was the very basic point and shoot family film camera called "hotshot" - didnt get any further with that. Later my dear brother Arif Khan gifted us with Nikon N6006 SLR film camera with Sigma 70-300mm and Sigma 24-70mm zoom lens around 1994 or so on his first trip back home from US. We were all thrilled and this is what really initiated me into this hobby. I ventured to a lot of places in India and did a lot of people/street photography. Later when I moved to Singapore, I got my Nikon F5 and built further my lens inventory. I concentrated mainly around people/street photography for the many initial years backpacking across Asia. Later I moved into digital with my Nikon D200 body and started doing macro and more recently with Nikon D3S into bird photography. People and Wildlife remain my interest and I hope to continue to pursue the same in years to come. Most importantly all the credit goes to my dear and loving wife Sameera. Since the last few years that we have been married, she has been of great great support and encouragement to my photography. She is always there for me and has been supportive and tolerant of all my dirty expenses around this hobby :) ! Her critics and guidance have very much contributed in the frames that I have recently captured. 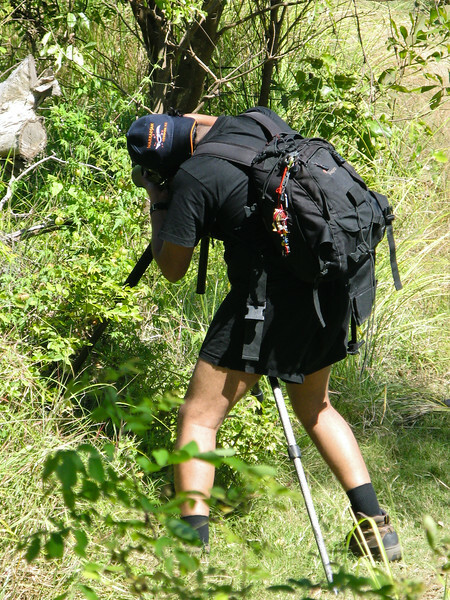 Most importantly, she is there happily and patiently in the tough outdoors as we look for birds and insects and her eye on finding these various species is amazing - a lot of these pictures wouldnt have been possible as these creatures would have gone unnoticed if it were me alone. Finally, her extreme skills in mandarin language has made it possible for us to venture out in remote areas of china alone and communicating to the right people to find information and directions of finding various species. Last but not the least, I would like to thank all of my family members, relatives and friends who have been a constant stream of encouragement and inspiration. And yes, not to forget the folks who created Smugmug. Without them, it would have been impossible to bring this collection out on the world wide web ! Smugmug is the best, no frills website for both beginners and Pro's available in the world today. Excellent work Smugmug team - keep up the great work and I am sure to stay as your lifelong member. Pls keep on reviewing my galleries time to time, as I would be updating my site frequently with new pictures. I am very open and eager to make friends and join other people in China who have similar interests. My contacts are below, pls do get in touch with me and we can sure go shooting together and share tips. Finally, If you would like to buy any of the pictures pls do get in touch with me directly. I will be more than happy to give these pictures free of cost for use in education / research publications with appropriate copyright agreements. Thank you for visiting my site and keep on coming back !